Canal Winchester has long been known as a close-knit community with a strong heritage of farming and family values. When The MacIntosh Company decided to build a new community in the heart of Canal Winchester, we wanted the outside, as well as the inside, to reflect those values. This gorgeous community is nestled on 7.5 acres off Gender Road with convenient access to shopping necessities as well as the charm of downtown Canal Winchester. As a company, we provide housing and healthcare for older adults based on trust, integrity, dependability and compassion. Our community focuses on assisted living and short-term rehabilitative care while offering a continuum of services. That continuum includes post-hospital rehabilitation, skilled nursing, outpatient rehabilitation and long-term care. Interested in Canal Winchester Rehabilitation Center, Skilled Nursing & Assisted Living? Contact us or schedule a tour. At Canal Winchester, we combine the security of care with the comforts of home, enabling you to live as independently as you wish. When you choose Canal Winchester as your next home, you’ll be able to enjoy stimulating activities and useful services. You’ll also receive any assistance you need with daily activities like bathing, dressing, grooming and medication management. Canal Winchester features 47 spacious, private, one-bedroom assisted living suites. They feature separate living, sleeping and kitchenette areas, individually controlled heating and air conditioning, emergency call system, full private bath and walk-in closet. We encourage you to personalize your suite with your own furnishings. We also provide respite recovery suites to offer proactive care and rehab for those transitioning from a hospital, same-day surgery center or skilled center prior to returning home. A respite recovery stay is also a great way to determine if you would like to make Canal Winchester your permanent home! Canal Winchester Rehabilitation and Skilled Nursing center offers post-hospital rehab, outpatient rehab and inpatient rehab services in the Central Ohio area. If you have recently been discharged from the hospital or have suffered a health setback, we’re here to help you with your recovery. Your goals are our goals. After an initial assessment upon admission, we’ll work with you to determine how best to support independence, mobility and self-care. You’ll be able to leave here with a renewed sense of self-confidence and an improved level of function. Our rehab wing offers a comfortable, friendly environment with well-appointed accommodations and furnished private rooms, all equipped with full baths including walk-in showers, basic cable services and Wi-Fi. We offer physical, occupational and speech therapies, as well as a wide variety of services, amenities and programs. When a senior can no longer stay safely at home or needs more help than assisted living can provide, long-term care services can help. Canal Winchester offers skilled nursing and long-term care for Ohio seniors as part of our continuum of care. We care for your loved one like you would, with patient-directed care and a personalized approach. Each resident receives the support and care they need from a professional and welcoming staff. You’ll be kept in the loop with care conferences and are welcome to visit anytime with 24-hour visitation. As with any Canal Winchester resident, your loved one can also enjoy our dining program, services, amenities and activities. Dining at Canal Winchester features delicious, chef-prepared meals and resident directed menu items. Our dining services team focuses on two primary goals: selection and enjoyment. We also have registered and licensed dieticians who work with residents to create therapeutic diets that allow for resident choice. Residents are offered flexibility through multiple dining locations and times. For special occasions, residents can host guests in the dining room. Guests always are welcome to dine with residents in the main dining room, as well. Room service is available upon request. 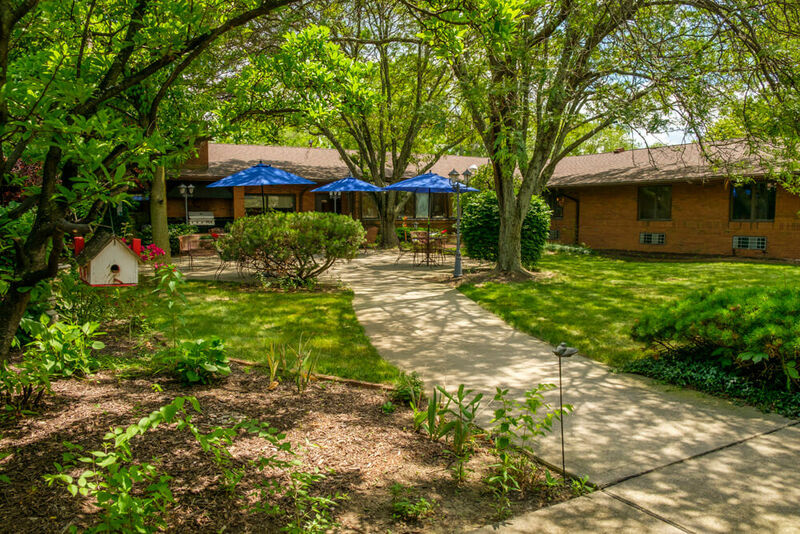 There are many assisted living communities and rehab facilities in central Ohio, but few can offer the same level of hospitality and amenities available at Canal Winchester. Because our executive leadership, nursing and care community staff live in central Ohio, our hospitality is warm, welcoming and local. Residents and families enjoy beautifully landscaped courtyards, patios, a private dining room and comfortable lounges to visit with family and fellow residents. Social and recreational activities are planned every day of the week, and transportation services make it easy to enjoy the surrounding area. Our goal is to provide personalized, uncompromised healthcare. To accomplish that, we hold ourselves to high standards. Our quality measures are based on feedback from our rehab guests, residents, families, as well as criteria established by the Ohio Department of Health and the Centers for Medicare & Medicaid Services. As a new community, Canal Winchester will not have posted surveys and ratings until at least one year after opening, but please check other MacIntosh Company communities to see how our quality consistently meets and exceeds standards. The benefit of Canal Winchester is that if your healthcare needs change, the community offers a continuum of care options under one roof, including skilled nursing, short-term rehabilitation, long-term care and even outpatient rehab close to home. Find peace of mind knowing extra help is available, provided by staff you know in familiar surroundings. Our quality measures aren’t only based on our high standards, but those of our rehab guests, residents, families and governing entities. The Ohio Department of Health and the Centers for Medicare & Medicaid Services measure quality through annual surveys and ratings. The cost varies based on community and how much assistance the resident needs. Here’s everything you need to know about assisted living costs. If you or a loved one will be a patient at a rehab center, this will help you know what to expect with patient and family communication. A medical professional can help in determining the level of your parent’s activities of daily living (ADL) ability. But here are some ways you can use the same tools to get answers on your own. Canal Winchester is locally owned and operated by The MacIntosh Company, which has lovingly served the residents of Columbus since 1984. We’re a recent addition to The MacIntosh Company care communities, of which there are seven in the Central Ohio area. We have a new, modern campus with an extensive rehab gym, private rooms and attractive grounds. The best part is, it’s all backed by The MacIntosh Company’s experienced leadership and established expertise in the senior healthcare field.